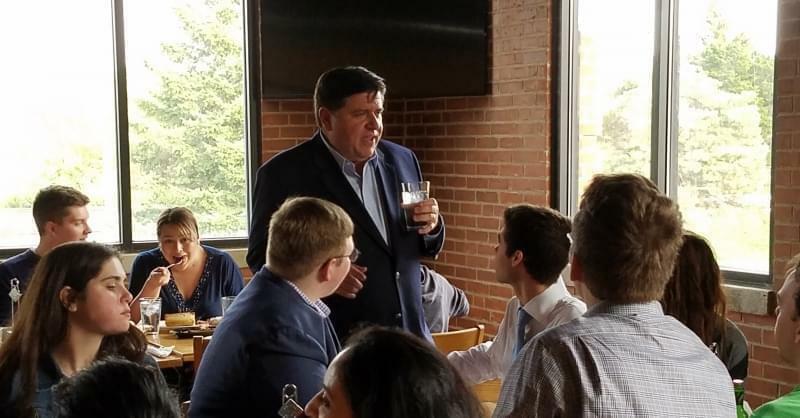 J.B. Pritzker speaks with campaign supporters in Springfield in this 2017 file photo. The Democratic candidate for Illinois governor is facing a racial discrimination lawsuit against his campaign — from his own campaign workers. 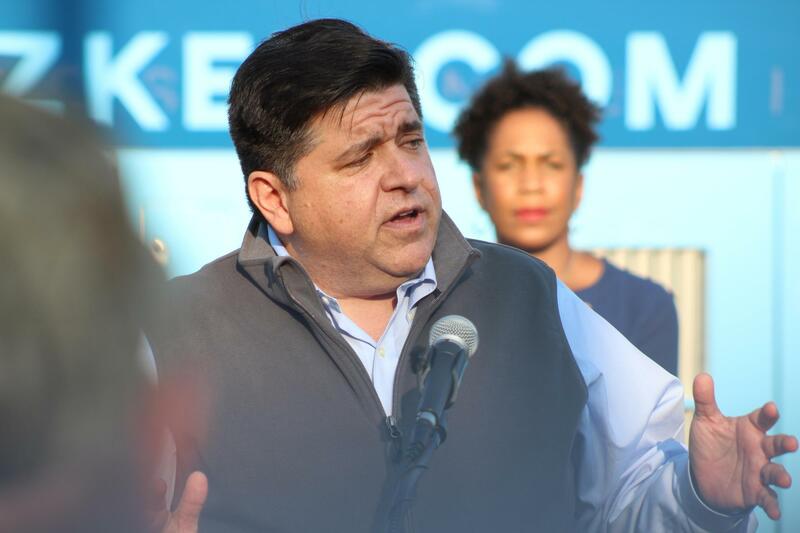 Ten current and former staffers accuse J.B. Pritzker’s campaign operation of subjecting them to harassment and retaliation. Pritzker denies the accusations. The plaintiffs work or worked as field organizers. They were hired between May and September. According to the complaint, nine are African American and one is Latina. They allege they were “herded into race-specific positions,” “offered no meaningful chance for advancement,” and forced to work in “unsafe” locations. Democratic state Rep. Juliana Stratton, who is also J.B. Pritzker's running mate, speaking with supporters last year. His running mate, state Rep. Juliana Stratton, who is African American, called the claims “baseless” and “offensive.” She says the majority of the campaign’s senior team is black. Stratton also points out that the plaintiffs had demanded $7.5 million dollars to quietly settle the case. 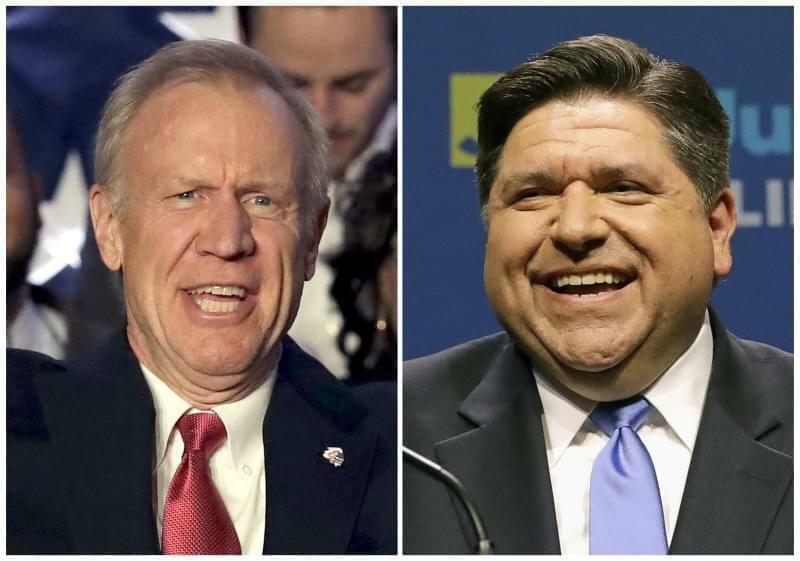 With early voting underway and less than three weeks until Election Day, Pritzker has consistently held a double-digit lead over incumbent Republican Gov. Bruce Rauner. 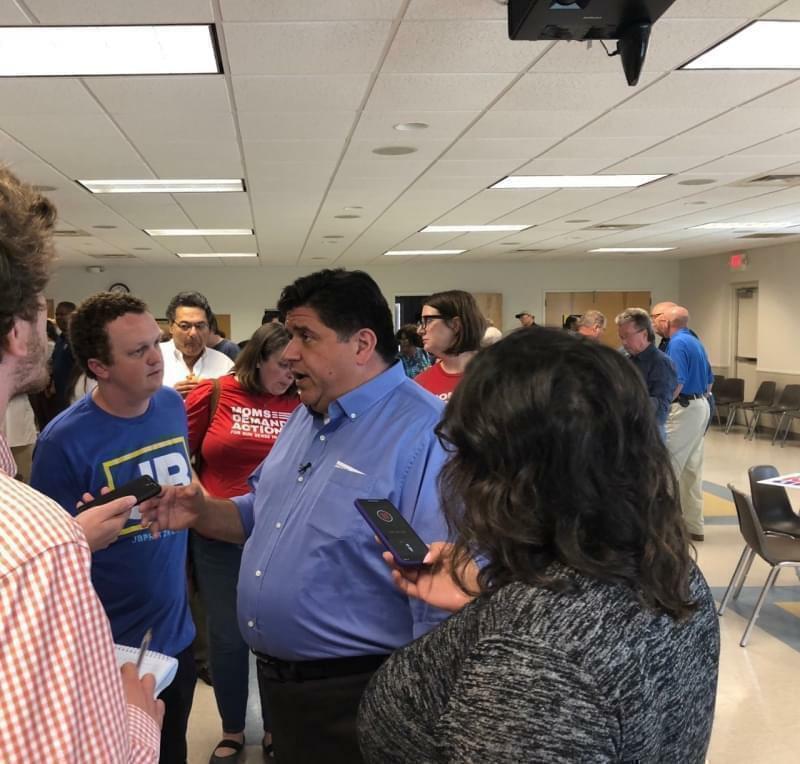 Speaking with reporters after an unrelated event, Rauner linked the lawsuit to a 2008 FBI wiretap recording in which Pritzker disparaged prominent black politicians. 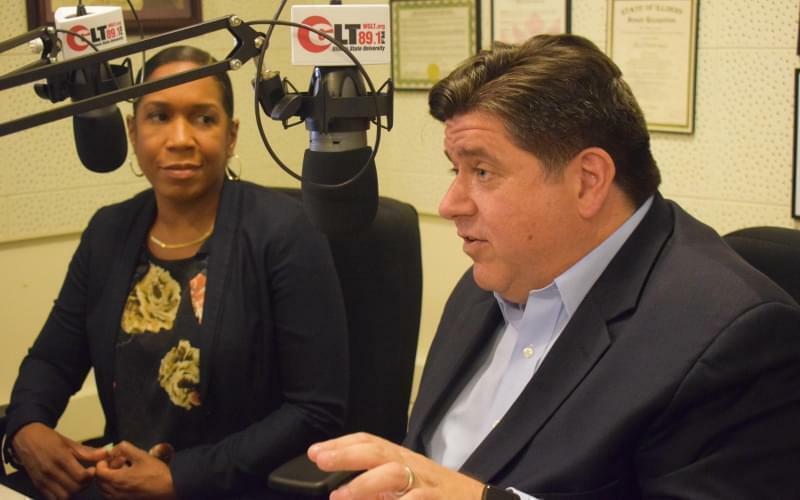 Pritzker was speaking with then-Gov. Rod Blagojevich, who at the time was trying to decide who should get the U.S. Senate seat being vacated by Barack Obama. Bruce Rauner speaks at the 2018 Illinois State Fair. 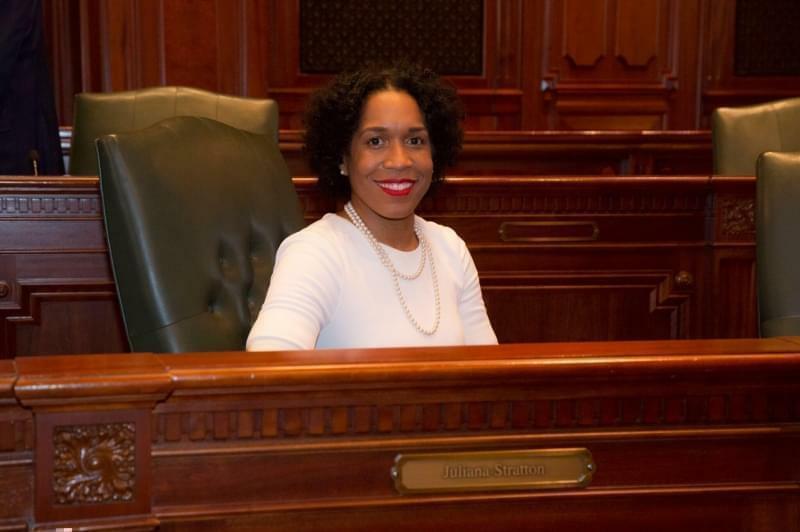 Pritzker is heard referring to one high-ranking black legislator as too “crass,” and another official as the “least offensive” African American he could consider. Pritzker apologized for those remarks when the Chicago Tribune surfaced them last year. Now Rauner says the comments are part of a pattern in which the lawsuit is just the latest chapter. “I’m not sure that any of us should be surprised that his campaign may have engaged in discriminatory practices,” Rauner says. The Rauner campaign did not respond to a question about the racial makeup of its staff.